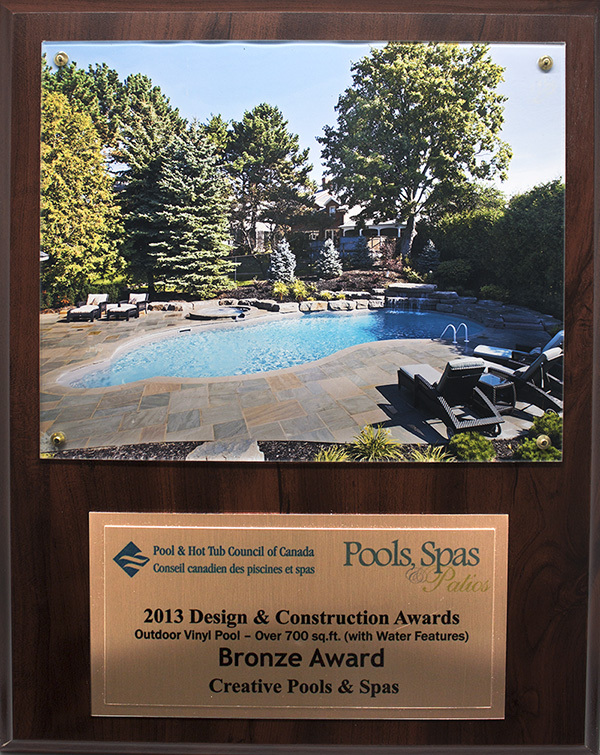 WINNER OF 14 PHTCC AWARDS!! 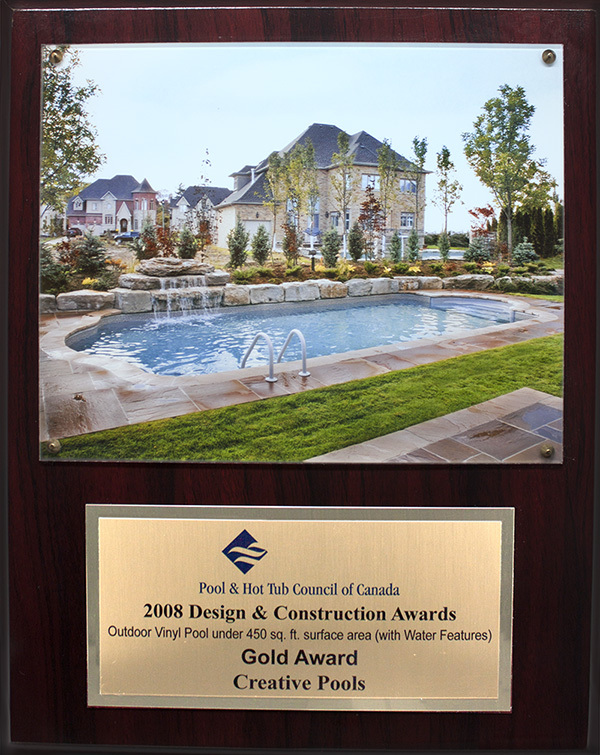 Hiring the right Pool and landscaping company can be a challenge, we are here to answer any design or construction questions you may have and please take a look at our photo gallery and see all the industry Awards we have won over the years, that we are so proud of. 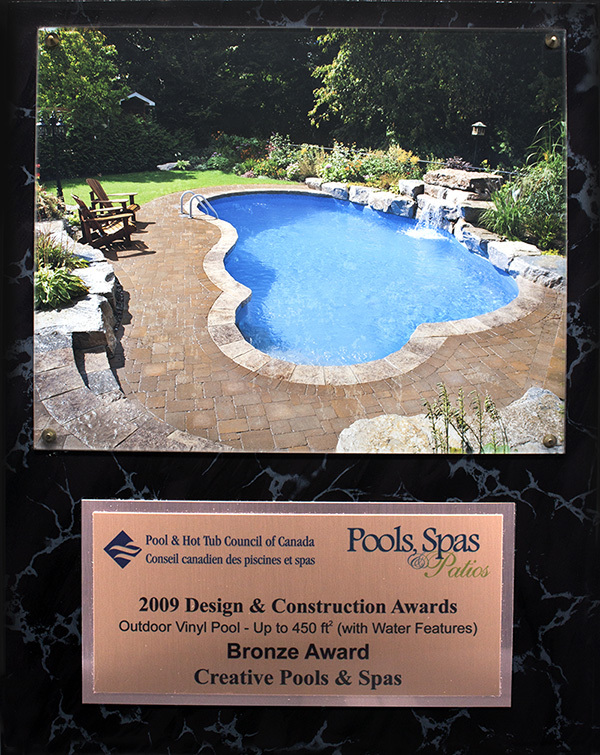 You never know you backyard can be the next big Winner!!! 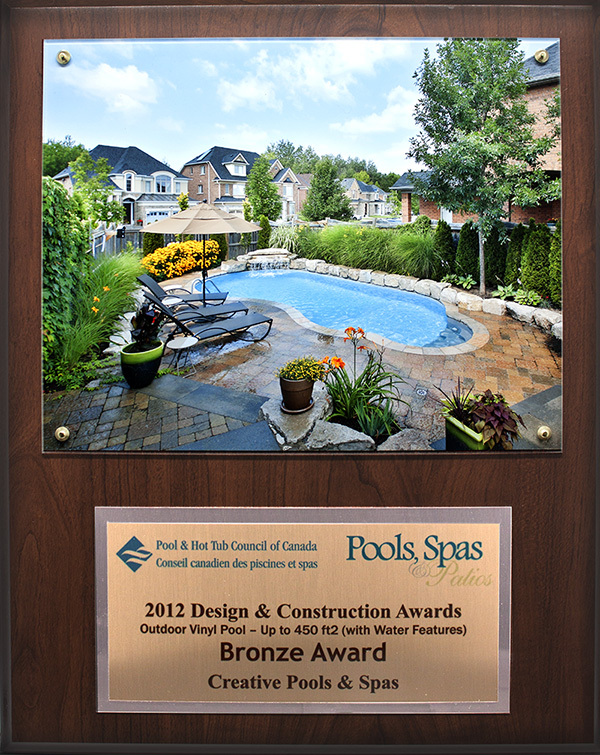 CALL US TODAY AT 905-836-6778. 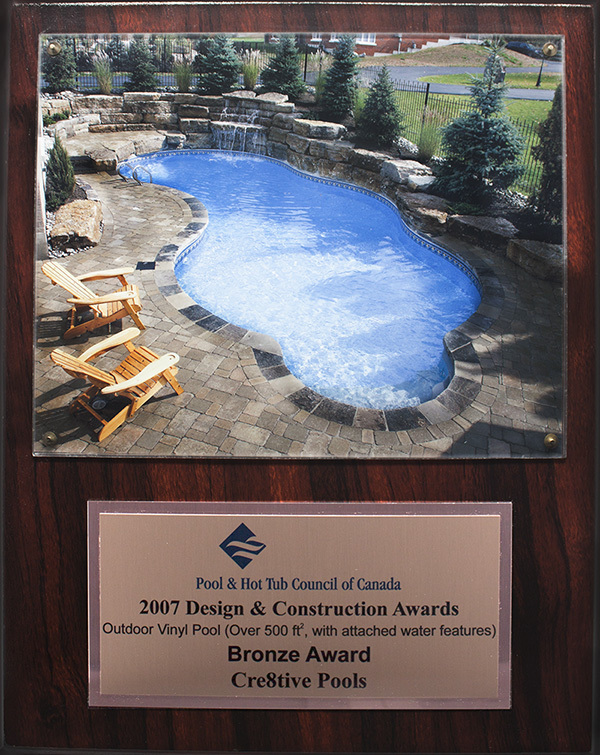 Creative Pools and Landscaping designs and construction have been recognized by The Pool and Hot Tub Council of Canada since the beginning and we have won many awards over the years. The competition and rules set by the Council are tough and every entry is judged by a panel of industry professional. 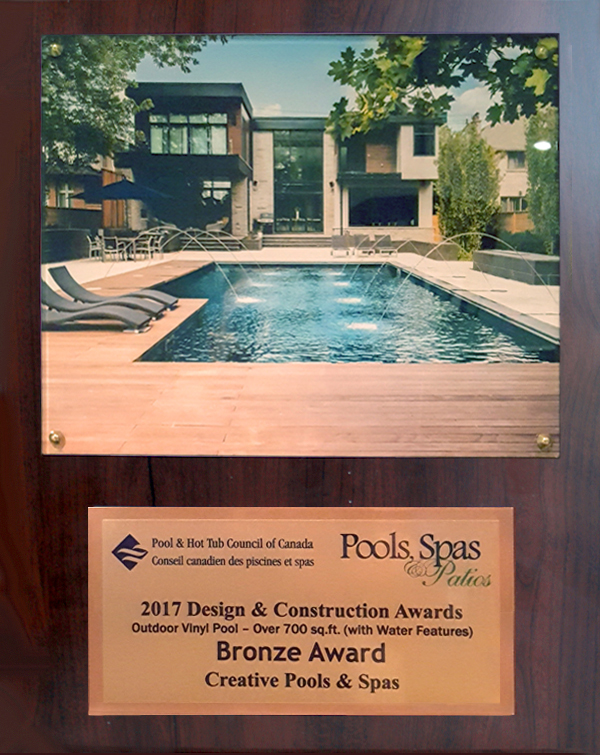 These prestigious awards are to honor Canada’s best builders and installers and are extremely significant to a pool builder.